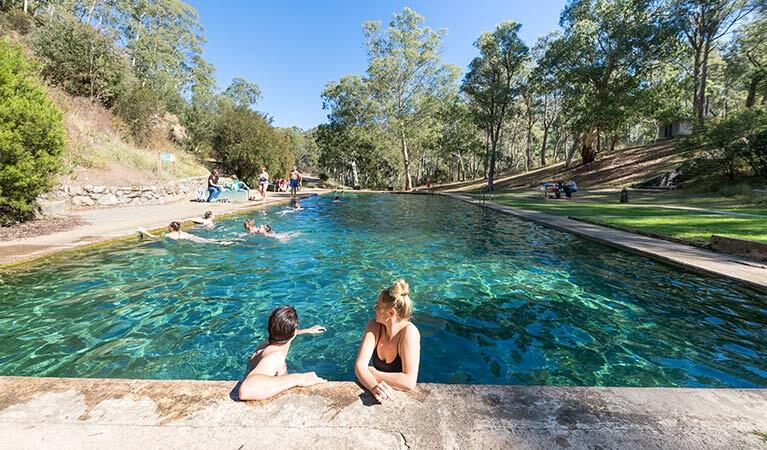 Yarrangobilly Caves’ thermal pool, fed by a natural spring, is accessible via a short walk. 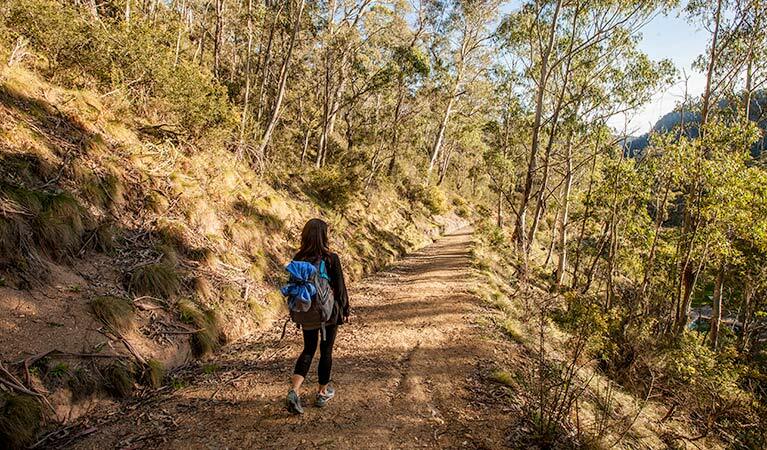 Enjoy birdwatching en route before swimming in natural surroundings, near Tumut. Though generally easy, some parts of the walk are steep. There is limited mobile reception in this area of the park. 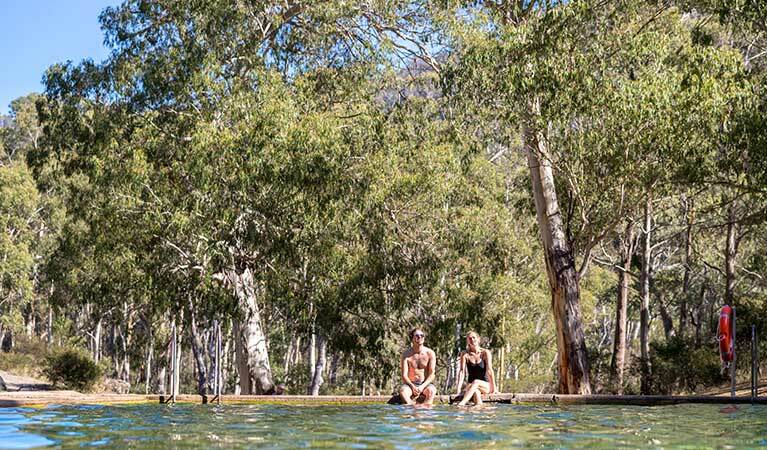 In a pristine mountain river setting, you probably don’t expect to find a pool, never mind one that is permanently heated to 27ºC by a natural spring. But that’s exactly what you’ll discover at Yarrangobilly Caves after a short but steep descent from the carpark. 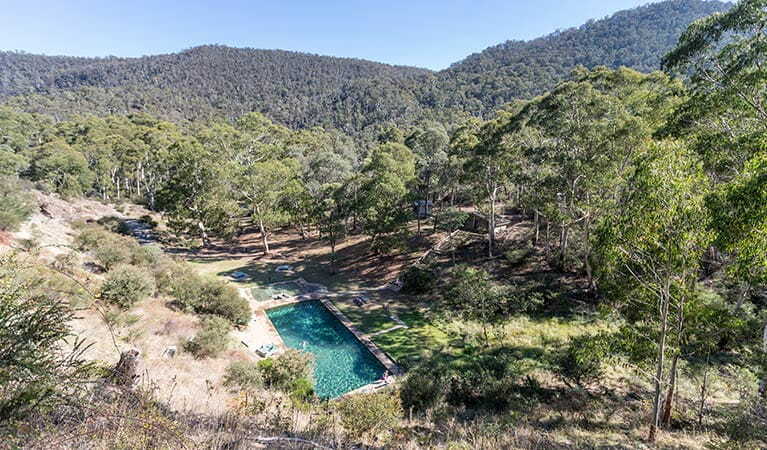 Measuring about 20m long and 2.5m deep, the main pool gently overflows like a waterfall into a children’s wading pool. Because it is a consistently warm temperature, the pool is perfect year-round. In summer, head there after exploring the caves for a quick swim and a picnic. Keep your eyes open for some of the local residents, including the water dragons that enjoy the peaceful surrounds of the pool and nearby river. In winter, it’s magical to float in the warmth, watching steam rise from the surface of the water, with snow blanketing the ground around you. There’s a picnic area adjacent to the pool, as well as change rooms and toilets. 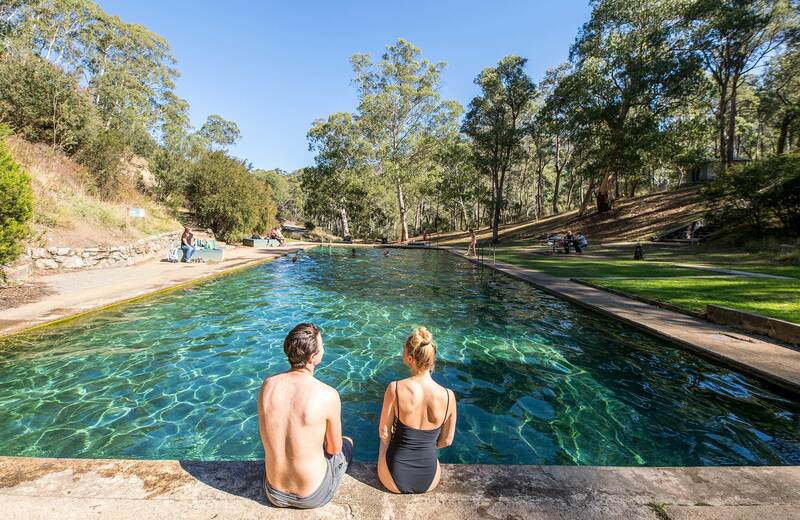 After your swim, follow Yarrangobilly Caves – Glory Farm walk, there are some great fishing spots, where you can catch introduced rainbow trout. You can also loop back via Yarrangobilly Caves - River walk and South Glory Cave. The Yarrangobilly area is open all year. See individual show caves and guided tours for times and prices. Additional tours run during NSW school holidays. Contact Yarrangobilly Caves on (02) 6454 9597 to confirm the tour times for your visit. 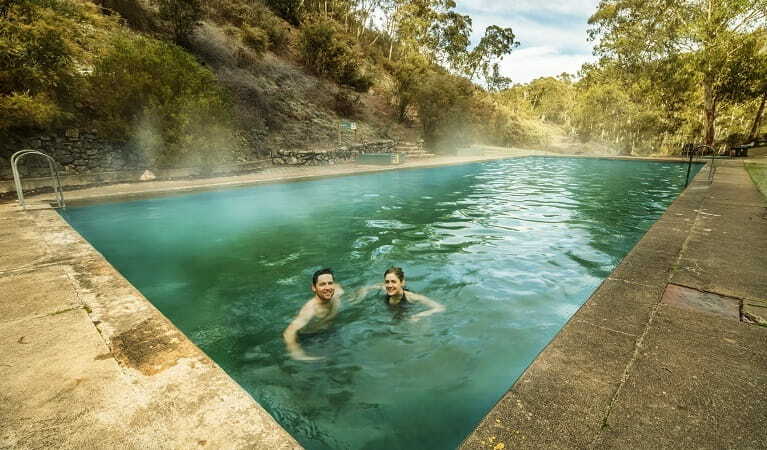 $4 per vehicle per day applies at Yarrangobilly Caves for motor vehicles without a Kosciuszko National Park day pass or NPWS All Parks annual pass. You’ll need to buy a ticket or cave pass from the Yarrangobilly Caves Visitor Centre to visit all Yarrangobilly’s caves.